Long time iPhone user here. Just set up my new 7. Fresh install, set up as new. I noticed that when I look at settings>general>storage&iCloud usage, I am using memory for saved messages and mail. Now, I have no messages on the phone and why would mail use memory? 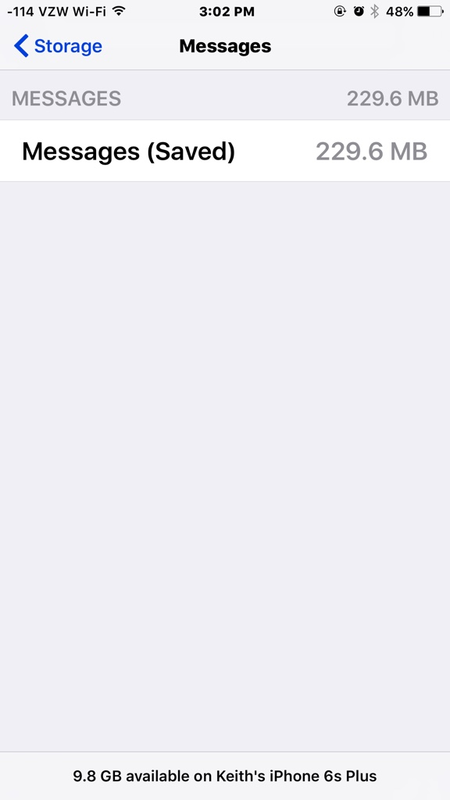 I understand over time messages will use memory until I delete them however why would I show usage now with nothing saved? As far as mail, what does that number mean? I have nothing stored so to say, just use gmail in my mail app. What is it saving that requires memory usage? One last question, I heard a rumor a long time back that every message you send or photo, the iPhone retains a copy so even if you delete all the messages and messages with photos, some memory is still locked away in use. Is there any truth to this and what can I do besides restoring monthly? Your storage takes into account emails in your sent and trash folders. You should check them out. As for the last question, that's false. Thanks, that's a rumor I heard a long time ago. As far as G-Mail using memory, that kind of confuses me because I'm not purposely saving anything as I thought that was all managed online? I thought the mail app was more of a tool to access the online account. So, the only way to reduce what is used is to delete anything I see in trash or sent? It seems as I pull down on sent or trash to refresh it loads more messages thus using more memory? If I i open say one of my folders with saved messages in it will it then downlaod that to my phone and if so short of deleting them how to I keep them from using my memory? Note that this is storage and not "memory". Also check each email account to see what the settings are for handling deleted emails. So I have gmail account and no setting for days to sync. Deleted goes to trash. The mail app itself takes a little storage space. Other than that, it's your mail. If you have set up your email account /accounts, there should be something there. Also where are you looking? Phone storage or iCloud storage? Did you set up the phone as new, or with a back up? I set go as new. In iPhone storage is where I see it. The messages app takes up space without messages. It now has some new features. I think what you see are the apps themselves. No messages or emails. When I got on the iOS 10 beta, I noticed messages took more storage space than I thought should have. I deleted all my messages, but it still took over 300 mb. I then realized it was the new features. Yeah, nothing to worry about. 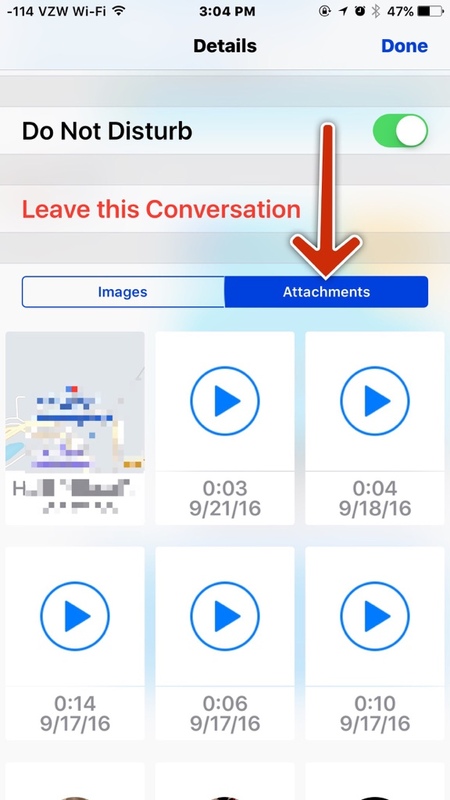 You can reduce a lot by deleting the images and videos in messages. Also you can tap on "attachments", and delete those. Looks like I need to delete some. Yeah, I have it set ti delete messages after 30 days. I had over 2 GB on my last phone so I was just wondering I guess. You do all that and 32 (which is more 28) won't last long. Depends on how many huge games, photos and videos. Videos take a lot of space, especially 1080p and 4k. 720p not so bad. Any music? 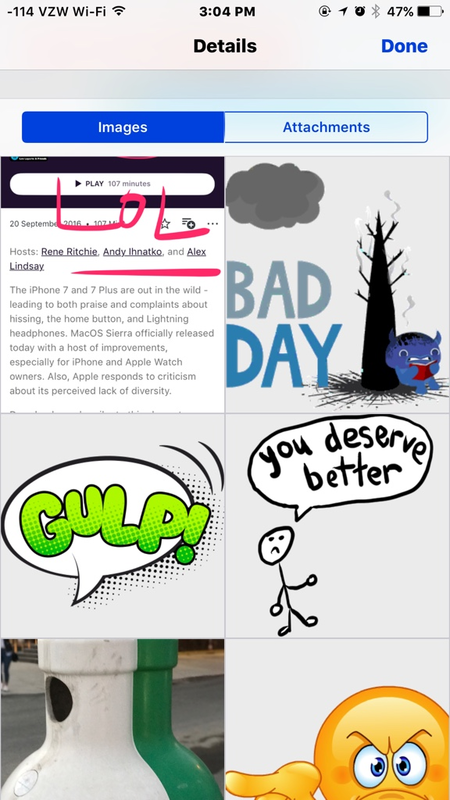 Are messages backed-up to iCloud? It would take space there as well I would imagine? Yes, they are. And everytime I back up to iCloud, I go through and delete all the photos and videos in messages. The written text don't use much space. I have mine set to back-up when I'm plugged in and on wi-fi so I'm always covered in case I forget. I'll keep your suggestion in mind and also use the expires after 30days to keep them cleaned up. If you do the auto back up, be sure to keep your "deleted Photos" album cleared out. Those can add up and take up a lot of iCloud storage space. It's why I no longer do the auto back ups. I started getting emails from Apple telling me I was almost out of iCloud storage. It was the deleted photos album taking space. Also app cache and messages. Gotca, I will keep an eye on that! Do you use the standard 5 GB or do you pay extra for more space? Wow, I just checked mine and my messages is over 2GB. But I guess I don't worry much with my 64GB iPhone. But thank you as I at least know how to delete this stuff if the need ever arises. I've stayed within my 5 free gb since my first iPhone 4� years ago. I currently have 2.5 gb available in iCloud. But I don't back up photos to iCloud. I use Box and Dropbox. Smart thinking on that photo thing! !